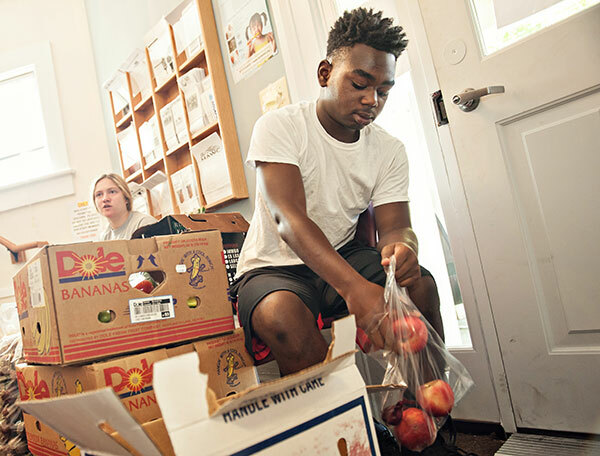 The SOS Food Pantry offers free, healthy food to people who need it. The program makes sure that parents do not have to choose between feeding their children and keeping them housed. What can you get at the food pantry? Fresh produce every week. No appointment necessary. A day’s allotment of food (three meals) for each person within your household. Make an appointment for this service, up to 12 times each year, by calling (734) 484-9945. Personal care and baby items, depending on availability. You choose the food and personal care items you want and will use. Tuesdays 1:00 pm – 6:30 pm, Wednesdays 9:00 am – 1:00 pm. To access the food pantry, please call (734) 484-9945. Where does the food pantry get its items? The SOS food pantry offers rescued food from Food Gatherers as well as donations from the community. The food pantry, personal care items and baby supplies are supported by in-kind and monetary donations from local businesses, churches and schools throughout the year. Donate to the food pantry.